Where oh where did I lose my mind? At the earth stage with its epic sound system? 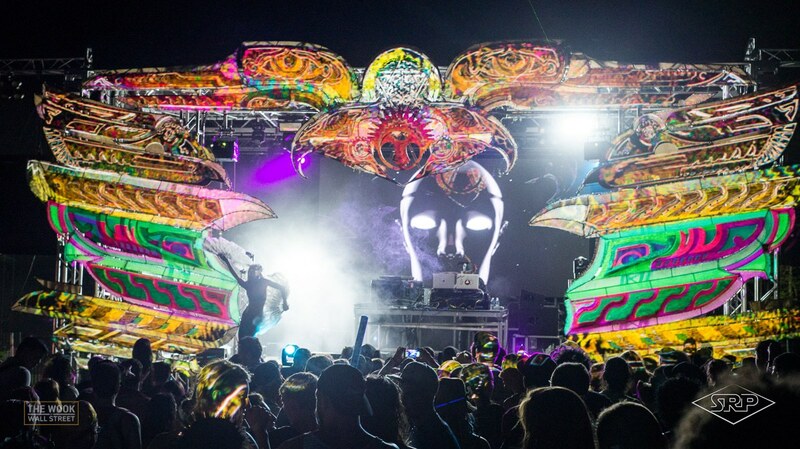 With a projection mapped stage and unreal gyrating psychedelic visuals? Or did I leave it up in the canopy at the forest stage; looking down on an ocean of funky party people, relishing the vibe of uplifting house music? Maybe I stood too close to the fire stage…and my brain melted during a huge house drop. It doesn’t matter, because I found my soul. A shimmering ground score that was summoned by the fat bass grooves and a loving atmosphere of music, art, and friendly people. Soul, that most vital element was diffused throughout the campground. Talented artists and the staff poured their hearts into every set and every stage. They curated wonderous, unique spaces for us to get lost and find ourselves, again and again. The Bangon! crew sure knows how to bring people together. A renowned Ableton master and instructor, Mad Zach took a packed out wub hub down the rabbit hole with his unique hypnotic style as the second to last set of the weekend. We witnessed a resurrection as the crowd sprung back to life from the previous 13 hours of dancing. Strange industrial synths and groovy percussion filled the air over explosive 808s. This was probably the best mixed set of the weekend, Zach kept it weird using crazy effects and looping snippets of his tracks to keep every transition fresh and unique. The set was so amazing that after, we had to step outside to process the experience and reflect on what we just heard. This young trap lord has a big sound with lots of original flavor and nuance to separate him from the mainstream. The Dark sultry vibes of big tunes like “Do you?” and “ili” came with psychedelic visuals of multi-layered movies and animations. Visuals distorted in time like an old TV losing signal, and I felt like I was swimming in a trapped out music video. No, not the time, this genre bending bass master is on the up and up with huge improvements lately. Blending groovy bass with beautiful melody, 5am’s tracks have a musical element often absent from bass music. His new EP, Onward, has been on repeat for us since it dropped and those tracks sounded amazing on a real system. Keith of Wax Future sat in on guitar for the beginning of the wub hub 4-5am set, adding gorgeous harmony to the tracks. A surprise set on the Earth Stage after Troyboi made our dreams come true as we were able to hear his crystal clear mixes bang on the fat Earth Stage system. He kept the energy high and held his own following a face melting Troyboi set. You can catch a quick glimpse of his set here. The awesome music, production quality, real camp activities (see our review from last year) and a much improved exit from the festival grounds cemented this festival as a must every summer for us going forward. But you don’t have to wait until next year! Come see the same quality of music, art, and party vibes Bangon! their next event: Elements in NYC on August 11th with Bassnectar, Emancipator, Dirtybird players and many more! Act fast this will probably sell out, tickets still available available here.